Energy analysts report that current urban development and population growth trends are leading to unsustainable rates of gross energy consumption and depletion of nonrenewable resources such as fossil fuels. Today, the energy sector faces one of the most daunting tasks: develop and implement technologies for grid improvement, renewable energy sources, local energy production, and optimized energy storage to name a few. One promising area is reducing energy consumption in the residential and industrial sectors. In many countries, it represents no less than 40-50% of the mix! 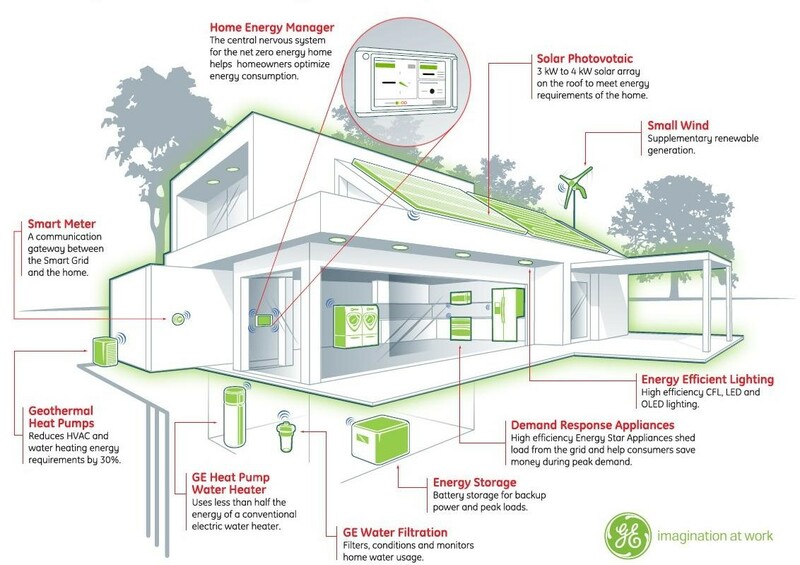 So, is there a smart house for our smart grid under the pipeline…? Let’s get a quick overview of what’s happening in new energy services empowered by Big Data. The installation of sensors to household appliances can provide energy consumption reports to provide actionable items regarding tracking maintenance updates. For engineers in this field, it’s about finding the right algorithms to equip sensor systems which, requires a mastery of both software and hardware skills. Lucid Design, an Oakland based company, offers a convenient way to monitor energy consumption through these kinds of systems. Thanks to their dashboard on a web platform or Smartphone, you can identify your consumption sorted by appliance, compare it to other users of Lucid’s network and finally rank your house. Using information gathered from these monitoring and reporting systems, the analysis reports aim to identify abnormal rates of consumption and offer solutions to the homeowner to regulate his or her consumption. Some companies are able to provide both services of monitoring and analyzing, such as the French startup, Openergy. But others such as Energy Evolution are able to analyze internal or external reports and draw conclusions without installing any specific devices. Automated devices solutions: Automated technologies encourage reducing waste and energy consumption. After preliminary home analysis and data collection, automation is among the many solutions to tackle inefficient energy use in homes. But some companies are selling their devices to better manage appliances without considering your consumption pattern at all. Ijenko is a Bouygues contracted startup that enables you to remotely switch on/off your appliances independently and report your consumption. It also goes further by reporting your data to operators and fully integrating your home to the smart grid. By doing this, operators can identify your needs and improve the system…meaning improving your home energy efficiency! Engagement looks very promising for the energy efficiency business but one question remains. What happens when you get your whole house automated? When you have one app for heating, one for lighting, one for windows and who knows what else… Companies like WigWag, OpenRemote or SmartThings are taking care of that, building an Open Source platform to gather and streamline all your house automation systems at once! Your devices stay connected and interact in a centralized way. Lastly, ending on a final note revealing just how startups will never stop innovating, I will introduce the hottest thermostat management Company Nest, which is looking beyond smart homes in launching its thermostat management application for Google Glass…the sky is the limit! By integrating Big Data analysis with energy services, it doesn’t hurt to stay updated by attending local meetups and events covering these trends. Contact Jean-Baptiste Trahin for further information.